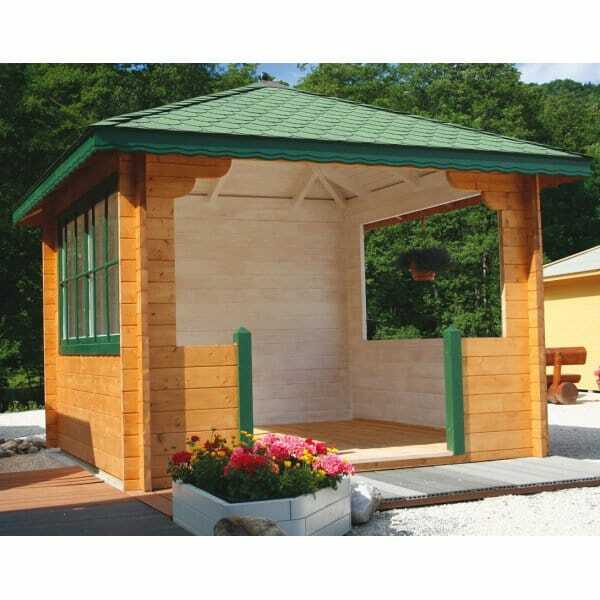 Bertsch Valencia 1 Open Pavilion Gazebo: The Bertsch Valencia 1 Open Pavilion from Simply Log Cabins is a really useful and attractive combination of Summer House and Gazebo. At 3.4m square it is a practical size giving a good sized covered area but without taking up too much garden space. Simply Log Cabins also offer this Pavilion as the Valencia 2 Open Pavilion model, if a fully enclosed building is what you would prefer.